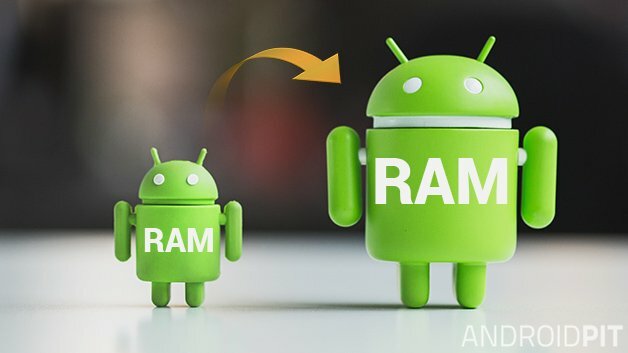 Artikel di link https://www.androidpit.com/increase-phone-ram ini menarik. Ia membahas bagaimana menambah memori ke handphone bukan dalam bentuk memori hardware, tapi virtual RAM di sdcard. Silahkan baca ulasannya. In this section we're going to explain how to increase your RAM with a rooted device. The trick involves creating a partition on your SD card, which will act as a secondary source of RAM. To do this, we will be using the ROEHSOFT RAM Expander (SWAP) app. You can download it here. You will need a class 4 SD card at a minimum, but for best results you should use a higher class. Before using ROEHSOFT RAM Expander, you will need to check that your device is compatible. Download MemoryInfo & Swapfile Check. Start the app and give it SuperUser rights. Click 'start ramexpander test here' at the bottom of the screen. Select the SD-card or Ext SD-card. Then press 'Click for result'. If 'Congratulations' appears, your device is compatible with the RAM expander app! If you have a compatible handset, download and start the ROEHSOFT RAM-EXPANDER (SWAP) app and start the application. Give it root permissions and select your language (you can choose English, German or French). Use the slider to select the amount of space you want to allocate to your SWAP partition. Tap 'optimal value' to automatically adjust the settings for the best performance, and 'autorun' should also be enabled. The last thing you need to do is tap 'Swap Activ' to complete the process. Did these suggestions work for you? Do you know any other good ways to get more RAM?